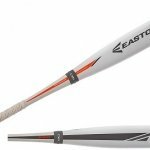 The Easton S1 youth baseball bat is one of the best bats from Easton yet. It is designed for power and speed and provides balance and extra comfort. If you want a bat that will provide extra speeds with less effort needed for the swing, then this is the bat for you. This style of dual component build is utilized on Easton’s two-piece composite bats. It is a design that fuses together the barrel and the handle to minimize noise and irritation every time you hit the ball. It is effective enough to cancel out the vibration that often comes with mishits. Players can hit the ball as much as they want without worrying of the discomfort. The connection efficiently transfers the energy from your body to the barrel. Not only does this reduce the vibration, it also gives more power to your hits. This is another patented technology from Easton. The IMX (Integrated Matrix Technology) is used on most of the high end bats from Easton. It is a technology that ensures that minimal amounts of carbon are used to make the barrel strong and durable, while at the same time ensuring that the bat is lightweight and comfortable. This is comparable to CNT technology, which according to the company is even more effective than IMX. 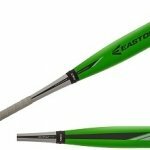 CNT is mainly found on the Easton bat on the highest end of the price range. Bats made using the IMX technology are however cheaper. There is no apparent advantage of using the CNT bat over the IMX, especially if you are buying a bat for private practice. This could explain this bat’s slightly lower price compared to the other high end bats in it range. The other advantage of this bat is its extended barrel. The extended barrel provides a larger sweet spot, without compromising its balance or weight. The Easton 1 is definitely the best bat for players, who are looking for the maximum hit area, with a very comfortable swing weight. Additionally, the 2 ¼ inch diameter makes it feel even more familiar to use. If you have been using other BBCOR bats, making the transition to this bat should be simple enough. The SIC (Solid Impact Construction) black carbon) is yet another proven technology from Easton. It consists of an array of spirally drawn carbon fibers. The Solid Impact technology applies this unique construction of carbon fibers to cancel out vibrations even further. The result is a very comfortable bat that can handle the toughest mishits. How the manufacturer turns the alloy into a bat barrel determines the durability of the bat. This is one of the things that affect the quality and price of the bat in the long run. The THT scandium alloy is one of the alloys that has been formulated to prevent dents and cracks in the barrel. This is important especially for extended barrels such as the one on the Easton S1. They are often susceptible to cracks and an alloy that can prevent this is usually ideal. Despite the THT scandium alloy on this bat, it is always advisable to ensure that you use and store the bat properly. • A -10 Drop weight. • Available sizes: 27/17, 28/18, 29/19, 30/20, 31/21, 32/22. 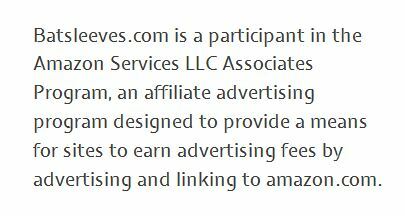 • Approved leagues include the USSSA and AABC. The main difference that the 2015 and the 2014 Easton S1 bat is mainly the handle. The grip on the latest bat has been upgraded for extra comfort. This change has been implemented across all the BB15S1 versions regardless of the style or size. This is a bat designed for speed and comfort. It is balanced and fells great in your hand every time you take a swing. 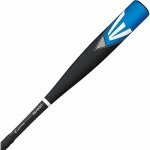 From a brand name that has built a name for itself with its patented technology, this is definitely the best youth bat you can choose this season. It is expensive and not ideal for those players who would prefer that extra swing weight. However, the bat has some of the best features you can find. The price is consistent with bats of that level of quality. 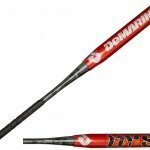 It is also possible to find it at a price that is slightly lower than other high end bats such as the Mako. One of the distinct things about the 2015 Easton S1 is its extended barrel. The bat is getting a lot of positive reviews thanks to the larger sweet spot. The bat has been promoted by most reviewers as being ideal for base hitters. However, this bat can be ideal for many different types of players depending on their needs. It is definitely not ideal for those seeking a bat with a heavier swing. 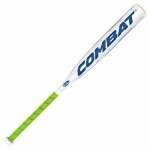 It is ideal for younger players who want to practice and improve their hitting skills with a bat that has a weight that is more forgiving. The sweet spot can also be ideal for those seeking to increase their chances of contact. The extra area covered by the barrel may take the compactness of the bat with it. However, if a player is willing to give this up, this bat may be what they’ve been looking for. The bat is also ideal for those who are seeking to transition from other BBCOR bats without compromising their gameplay. The bat scores high on balance, speed, and power. It has been manufactured using the best materials and the best-patented technology from Easton. Despite its price, it is definitely the best bat available in the market for young players.